CVS Pharmacy has announced new standards for the marketing of beauty products sold in its stores and online by pledging to identify any images that have been altered. At the same time, the company is introducing what it calls the "CVS Beauty Mark," a watermark that will identify images that have not not been "materially altered." That's defined as changing or enhancing a person's shape, size, proportion, skin, eye color, wrinkles, or any other individual characteristics. The company said it will work with suppliers and brand partners to set up an accountability system to make sure the new standards are met. Retouched images have a long history in glamour photography. In recent years, critics have charged that enhancing photographs of models and celebrities creates an unrealistic ideal of beauty, especially among impressionable adolescent girls. In a 2015 video produced by SheKnowsMedia (below), young girls talk about how they and their friends deal with beauty standards established in the media. At least one organization representing girls has embraced the CVS initiative. Judy Vredenburgh, CEO of Girls Inc., praised CVS for celebrating beauty in all of its forms. "Allowing diversity and natural beauty to shine will have an immensely positive impact on girls and women everywhere," she said. 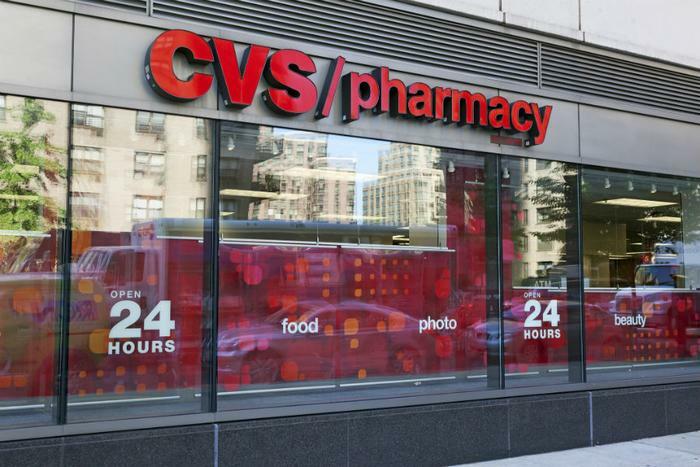 CVS says its move has two purposes. It wants to promote transparency around beauty images and allow consumers to easily recognize when a marketing image has been altered and when it hasn't. It also wants to promote the idea that beauty can come in many different forms. The CVS Beauty Mark will begin appearing on CVS Pharmacy-produced beauty imagery later this year, with the objective of all images in the beauty sections of CVS Pharmacy stores being fully transparent by the end of 2020. "As a woman, mother and president of a retail business whose customers predominantly are women, I realize we have a responsibility to think about the messages we send to the customers we reach each day," said Helena Foulkes, President of CVS Pharmacy. Foulkes says the connection between the portrayal of unrealistic body images and negative health effects, especially in girls and young women, has been shown in a number of studies. She says CVS wants all of its messages to reflect the purpose of promoting good health. The decision is the latest pro-consumer response that CVS has taken. Last April, the company announced it would remove “chemicals of consumer concern” from nearly 600 CVS beauty products by 2019.